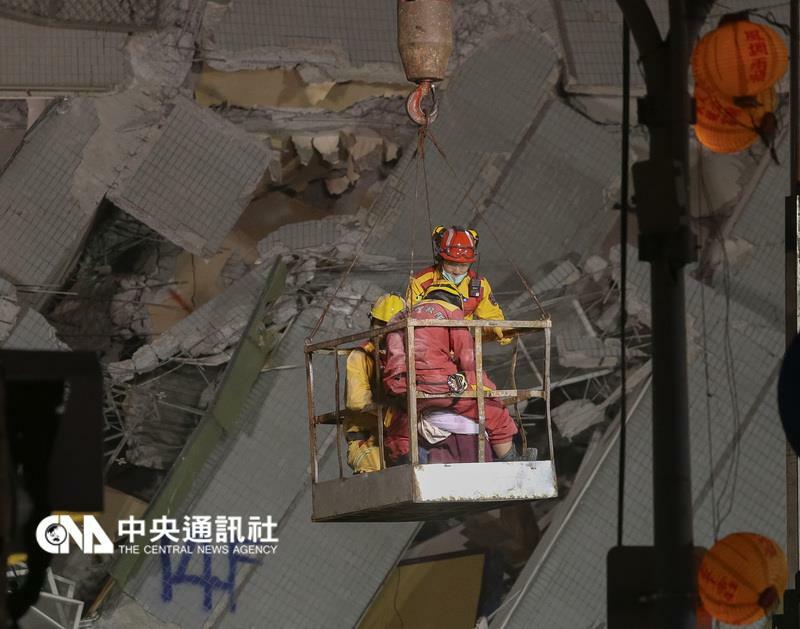 ●Tainan Mayor Lai Ching-te said in 4:20 p.m. briefing that rescue works were to cease as bodies of all people believed to be trapped in collapsed Weiguan Jinlong building have been recovered. Death toll stood at 116. 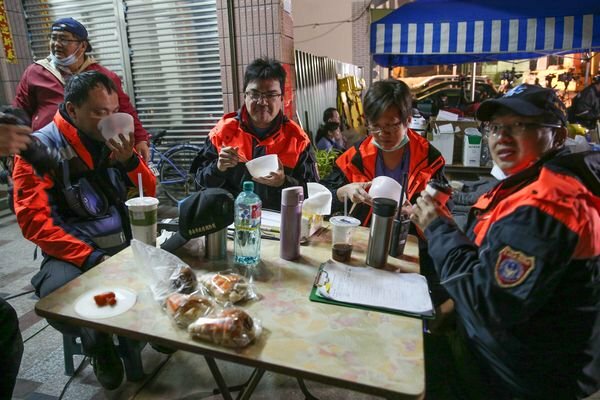 Taipei, Feb. 6 (CNA) A magnitude 6.4 earthquake struck southern Taiwan at 03:57 a.m. Saturday, toppling multiple buildings in Tainan City, including a 16-story residential building with possibly hundreds of people trapped inside, authorities and witnesses said. Police and emergency workers were fighting to rescue people from some households in the building, most of which was left lying on its side after the earthquake, in Yongkang District in southern Tainan. Many residents in central and southern Taiwan said they felt tremors reminiscent of the magnitude 7.3 earthquake in 1999, which left more than 2,400 people dead. The earthquake's epicenter was located in Meinong District, Kaohsiung City, at a depth of 17 kilometers, according to the Central Weather Bureau. The strongest tremors, which had an intensity reading of 6 on a 0-7 seismic scale, were felt in Yunlin County, the bureau said. Kaohsiung, Pingtung, Tainan and Chiayi had an intensity of 5 while Taitung, Penghu, Changhua, Nantou and Taichung had 4. Strong aftershocks, which were centered in Tainan, were felt minutes after the initial tremor. There were reports of people being injured after being hit by fallen debris. One man in Yunlin reportedly broke his foot when trying to jump to safety from a second-floor window. Collapsed buildings reported in Tainan.